Everyone deserves a safe, decent and affordable place to call home. That is why Habitat for Humanity, in collaboration with the Caribbean Policy Development (NGO) Centre and the European Union, is working with the Disability Organisations, NGOS supporting the LGBTQI Communities and HIV/AIDS civil society organisations, to make affordable housing easier to access for everyone. Habitat for Humanity Trinidad and Tobago invites you to join The Advocacy Build 2018, on Saturday 13 October 2018 from 9am. This project will be a gathering of prominent and influential leaders from government, the diplomatic corps, business, academia, the arts and civil society on a Habitat construction project. Advocacy Builds take place across the globe, and provide an excellent opportunity for leaders to network, generate visibility and give back to communities through corporate social responsibility. 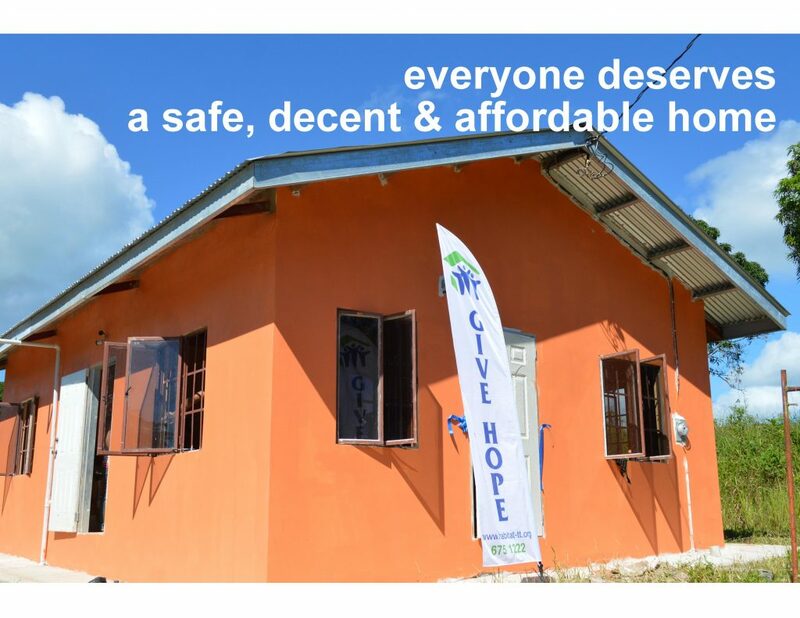 Habitat Trinidad-Tobago is working in collaboration with the Caribbean Policy Development (NGO) Centre to improve access to Housing and Land Tenure for Vulnerable Groups – the Disabled, People living with HIV/AIDS and the Gender Communities. Andy is mute and deaf; interviews are conducted with his co-applicant Michael Damion Mohammed. They met when Andy was eight years old and Michael Mohammed was five. Mr. Mohammed’s family opened a bookstore in Princes Town and there was a games arcade next door which Mr. Ramkissoon frequented. The boys began hanging out and their friendship was born. Andy was an only child to his parents; his father was a mason by trade and his mother was a housewife. His mother died in 1997 when he was just twenty years old and he was left with his father who was an alcoholic. After they died, with no one to guide him, he began hanging out in the town and more and more at the Mohammed’s bookstore. They would try to provide meals while he hung out with the staff and tried to help by moving boxes of stock. Later in 2006, a lady from the area stepped in and assisted him with getting access to the disability grant on which he lives presently. When asked why he chose to get so intimately involved in Andy’s personal affairs, Mohammed said that he was approached by one of Andy’s aunts to assist her with getting the property deed transferred from his mother’s name. Apparently there were several family members at that time trying to get Andy to sign a document that would make them the owners of the land. Mr. Mohammed said he found that to be wrong and he could not stand by and see that injustice done to someone he had known for almost all his life. According to Mr. Mohammed, the aunt who helped get the deed had intended to build him a small house with her own money; however she fell ill and had to use the money for her own care. The now-demolished structure on the land could have been as much as eighty years old. It was very worn and dilapidated. Half of the structure was condemned due to deterioration and could not be used. It is through this condemned section that thieves entered Andy’s home and steal his few belongings. Mr. Mohammed said that for this reason, all Andy’s clothing is kept at his home. 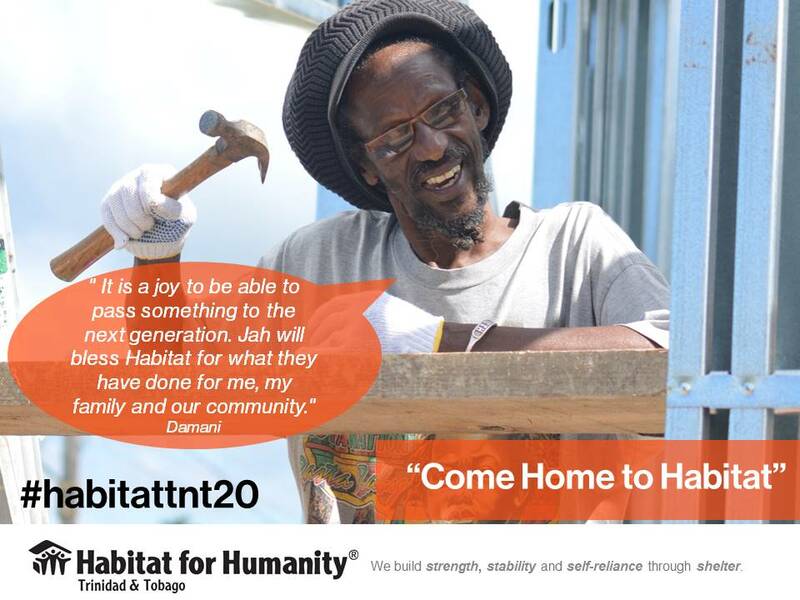 Asked why Habitat Trinidad and Tobago should assist Andy, Mr. Mohammed said that he knows him personally and he knows that he is a good person, he thinks it will be a blessing for him to own his own home especially when none of his relatives thought he could. Mr. Mohammed states that if he was financially able he would build the house on his own, but he is very happy that an organization like Habitat TnT is available to bring hope to those who need it. Help rebuild the Caribbean after Hurricane Season 2017! We continue our appeal for donations towards the rebuilding of the Caribbean. 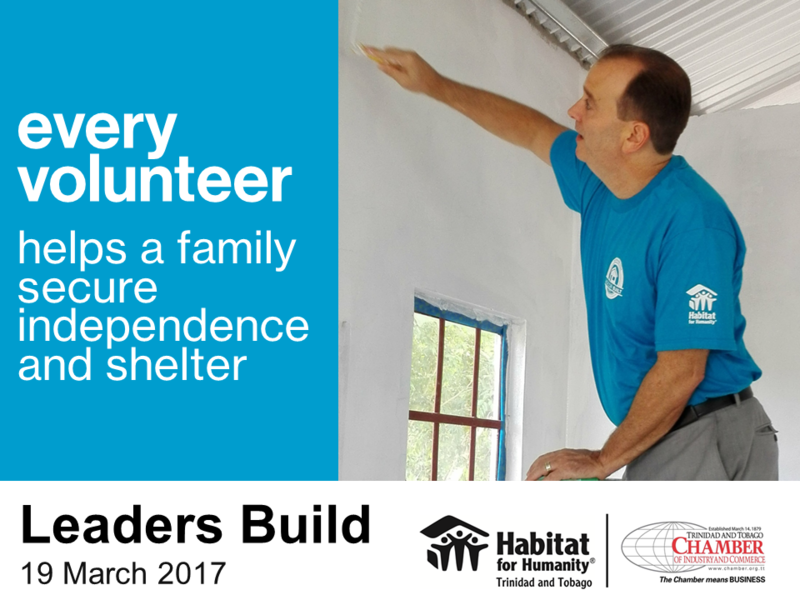 Your donations will support our training programmes for local carpenters, to teach them how to build hurricane-resilient housing in Dominica. Trinidad & Tobago 1-cent coins will be withdrawn from circulation soon! 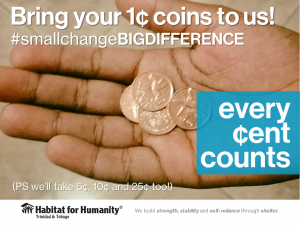 Why not send us your coin collection, and let your small change make a big difference in the lives of homeowners throughout our country? We have buckets that can be used for small outlets, but individuals may opt to bring in whatever bags and boxes they have on hand to our offices or their company’s HR/Marketing/CSR departments, and we will make arrangements to hand over the coins. 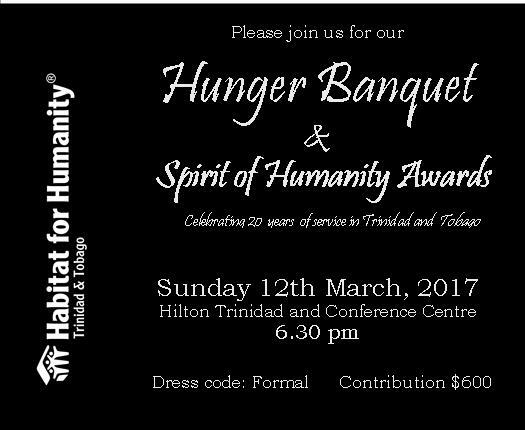 Habitat Trinidad and Tobago celebrated 20 years of service on 14 March 2017 with tributes to our families, donors and volunteers, as well as special events throughout the month to commemorate this milestone. Joining us for several of the events was Monica Ramirez, Housing and Human Settlements Director – Latin America and the Caribbean at Habitat for Humanity International. During her visit she met persons within government, Habitat Homeowners, major donors and other stakeholders to discuss housing and land tenure issues in Trinidad and Tobago, with special emphasis on the New Urban Agenda adopted in October 2016 at Habitat III. This was an opportunity to meet the families most affected by Habitat’s work, to hear their stories see their transformation, be inspired to do more! 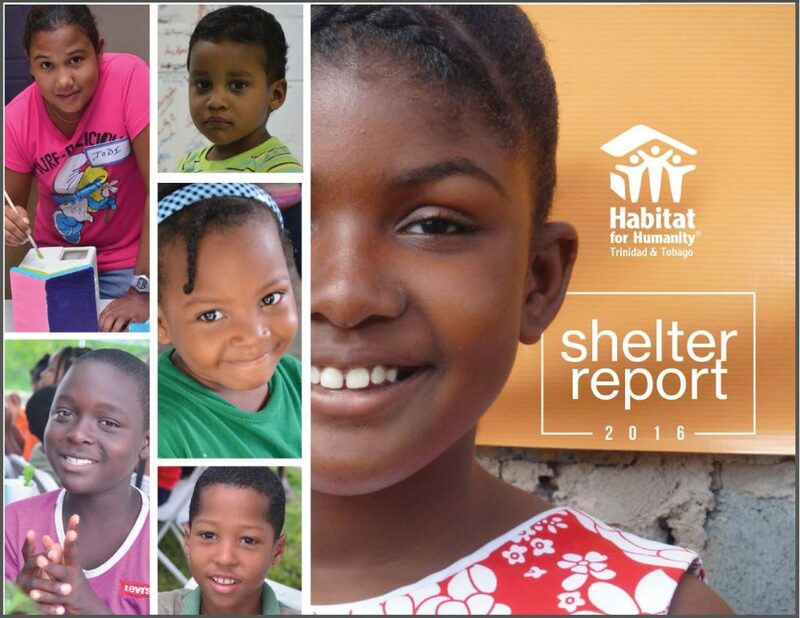 At Habitat’s signature gala event, we paid tribute to the homeowners, staff, volunteers, donors and supporters who have helped families throughout Trinidad and Tobago achieve their dream of safe, decent and affordable shelter. An exclusive event where top executives and business leaders worked together to help paint a new home for Damani, a Habitat Homeowner soon to move into the 509th Habitat shelter! Corporate executives will traded in a day at the office, left behind their suits and smartphones, put on hardhats and tooke up their tools to make a tangible difference in their community. during the day’s work, the house was painted inside and out, while another group tilled the backyard and planted a large kitchen garden for the family. In just a few weeks, Damani, his son, daughter-in-law and newborn grandchild will be safe at home! You can find out more about our celebrations on our social networks using the hashtag #habitattnt20 and find out more about our work from our latest Shelter Report! We look forward to another 20 years of service in Trinidad and Tobago!